This is a small black bean salad enough for 6 small wraps. It makes a great lunch or dinner wrap. I decided to try the brand “LIVE” for my wraps. 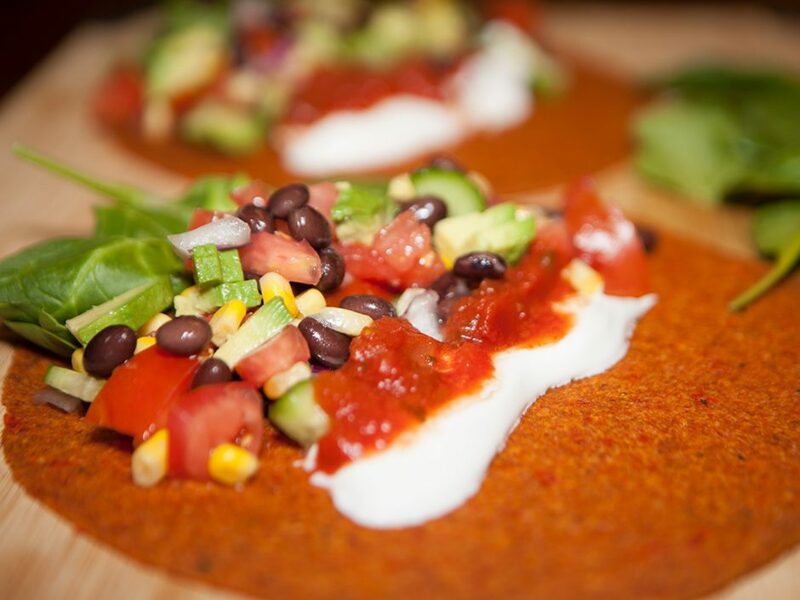 These wraps are the raw version of a soft tortilla shell and are a great way to make a fast health delicious meal. Make your own creations – these wraps can be filled with whatever you like! The wraps are organic, raw, gluten free, plant based and paleo. 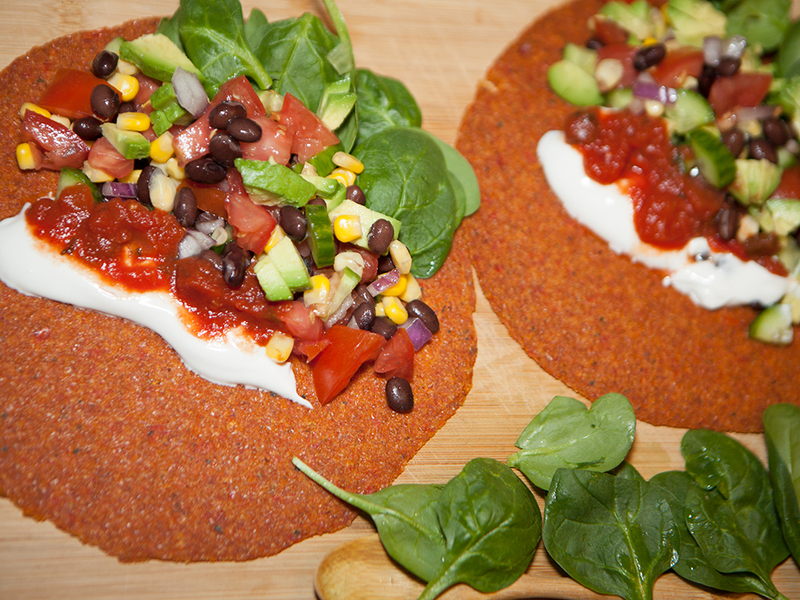 I used the chipotle wrap which was a great choice to pair with the black bean salad. You can make the salad ahead of time, the flavors mingle when refrigerated for a least an hour. Place first 5 ingredients into a bowl. In a small measuring cup mix the oil, vinegar and chili pepper, drizzle in salad and mix. 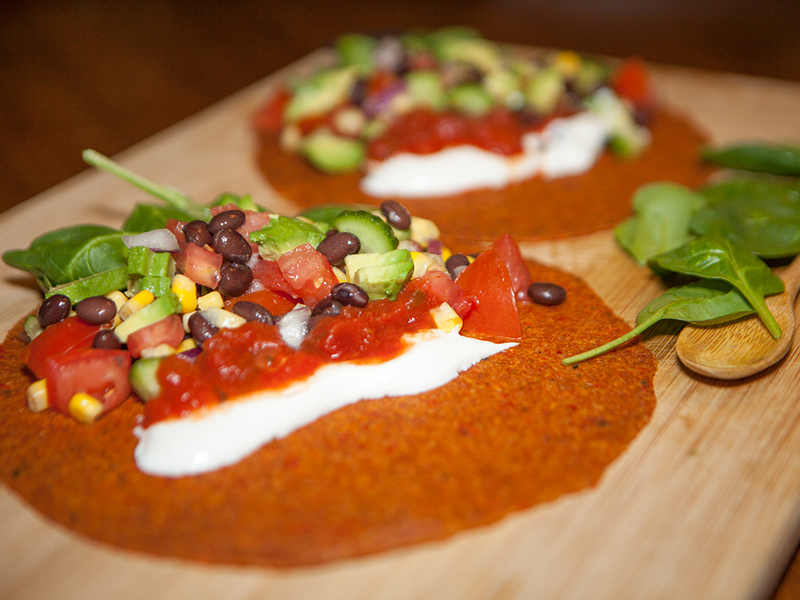 Arrange wrap, row of spinach, row of black bean salad, row of sour cream top with salsa.